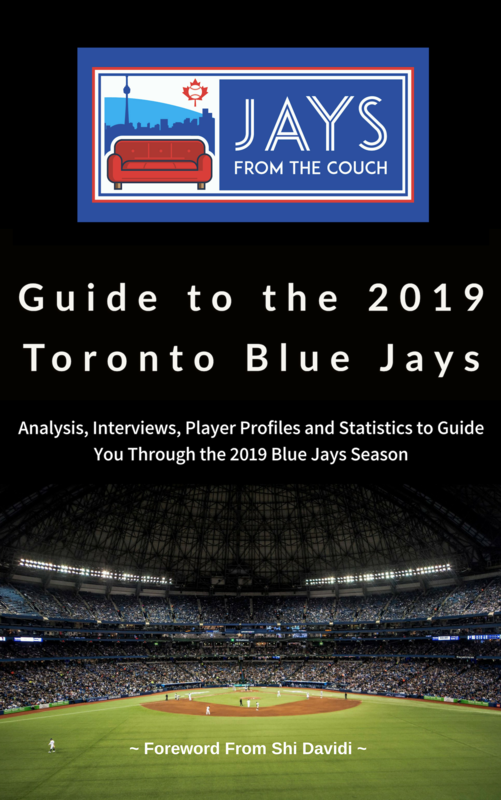 Jays From the Couch staff is back with our second book, The JFtC Guide to the 2019 Toronto Blue Jays! You read it last year, you’ve heard people talking about it- The Jays From the Couch Guide to the 2018 Toronto Blue Jays was such a success, we decided to do it all again! 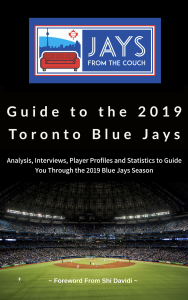 The staff of Jays From the Couch is announcing our second book, The Jays From the Couch Guide to the 2019 Toronto Blue Jays! 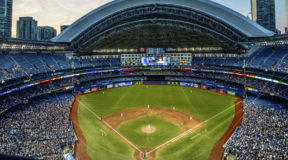 We kick off the 2019 Guide with a foreword from Sportsnet Blue Jays baseball Insider, Shi Davidi. Shi offers up a a great entree for out book and we’re very excited he agreed to join us. Readers will find interviews with Ryan Borucki who discusses where he can go in his sophomore season and Ryan Noda, who gives us his thoughts on his progress and preparing for a new season. We also sit down with Ben Wagner, Blue Jays Play-by-Play Announcer on the Sportsnet Radio Network. But, there’s so much more! Our guide aims to present something for the casual and analytical fan, alike. 2019 figures to be a “rebuilding” year and we offer up a whole host of essays discussing what you can expect from Canada’s team. With player profiles, our Top 20 Prospects list and a whole section dedicated to statistical analysis, there is bound to be something for everyone! Read about the new guys or check out what you can expect from returning players. Want to go deeper into statistics and analytics? No problem, we’ve got you covered. 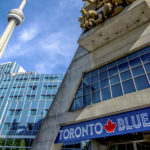 The staff at Jays From the Couch has taken the hard work and lessons learned from our first leap into the world of book publishing and poured our blood, sweat and tears into The 2019 Guide to the Toronto Blue Jays. 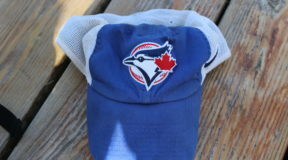 We consider this a one stop shop for everything you need to get set for Blue Jays Baseball Season. 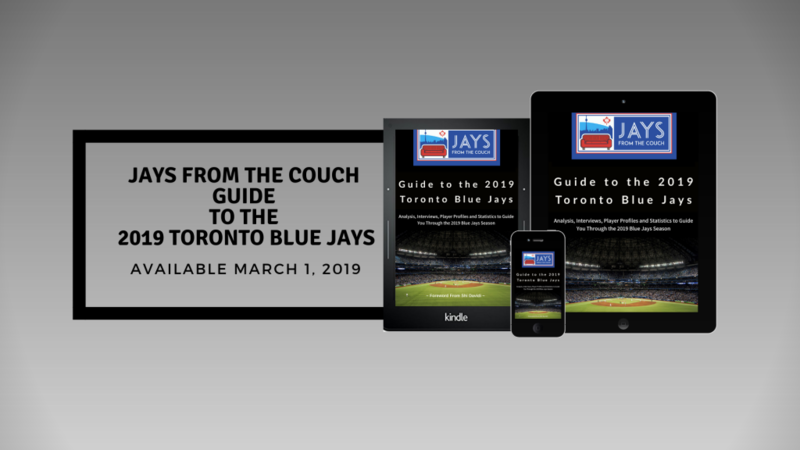 You will be able to find the Jays From the Couch Guide to the 2019 Toronto Blue Jays for purchase on Amazon on March 1, 2019. The list price figures to be $9.99 CAD (approx $7.50 USD). Purchasing a copy will allow you to download and enjoy this book on the go. You can read it anywhere across multiple platforms, whether it is on your Kindle, or on any device with the Kindle app. 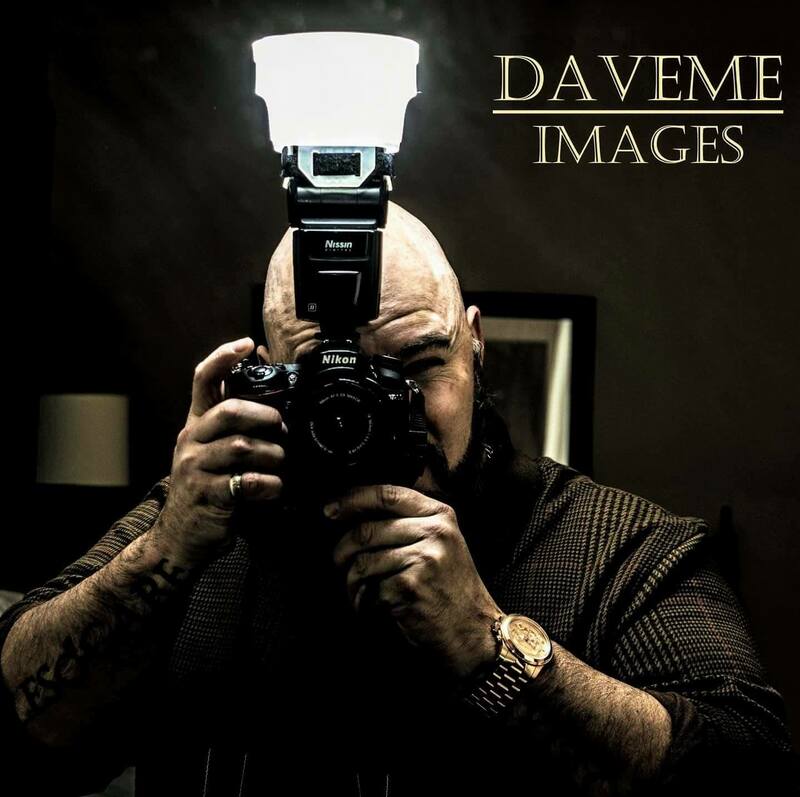 Of course, you will also be able to purchase a hard copy paperback version, in case you run into one of us and wish to have it signed. 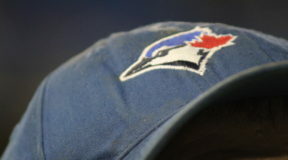 Leading up to the March 1st release date, we’ll be sharing snippets to provide you with some sneak peaks of what you’ll find in the Jays From the Couch Guide to the 2019 Toronto Blue Jays. Every day, you’ll get a little taste of the excellent content waiting for you inside our second book. 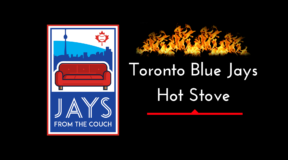 As Founder of Jays From the Couch, I sincerely hope you enjoy the Jays From the Couch Guide to the 2019 Toronto Blue Jays. I want to thank the staff of Jays From the Couch for their tireless efforts in making this crazy dream a reality. 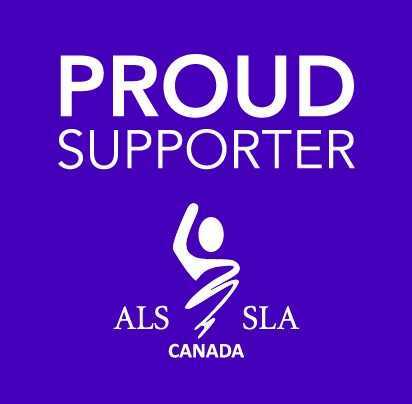 They have put in countless hours of determination in bringing this guide to life. I owe them a lot. 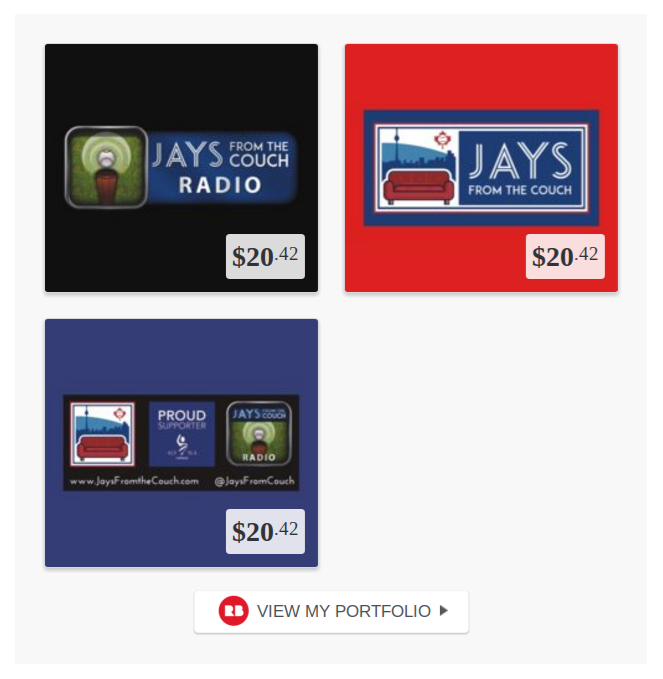 Don’t forget to SUBSCRIBE to the Jays From the Couch Radio Podcast on iTunes where you can also leave a rate and review. If you’re on Android, you can subscribe using Google Play! Just click on the link below to subscribe via your preferred service.